Our Landscape Lawn is sure to make the perfect fit for your garden or outdoor area. Ideal for those who enjoy green space and relaxing outside in the open air, the luscious green blades of the Landscape Lawn will continue to make your garden look its best all year round. Whether you are a keen gardener looking for the perfect way to complement your carefully-tended flowerbeds or a homeowner on the lookout for a low-maintenance way to keep your property looking great, artificial grass is guaranteed to be a worthwhile investment. Our Landscape Lawn is comprised of hard-wearing, long-lasting C-shaped memory fibres with a pile length of 30mm. It is this high level of durability that will ensure your lawn stays looking its best despite factors like adverse weather conditions. In addition, the memory fibres are specifically designed to offer the best possible pile recovery, guaranteeing a great-looking lawn. Multi-functioning and highly adaptable, the Landscape Lawn is equally well suited to a wide variety of different uses. From ornamental landscaping to relaxing in the garden and general garden activities throughout the year, freedom and flexibility are key to the design of this lawn. 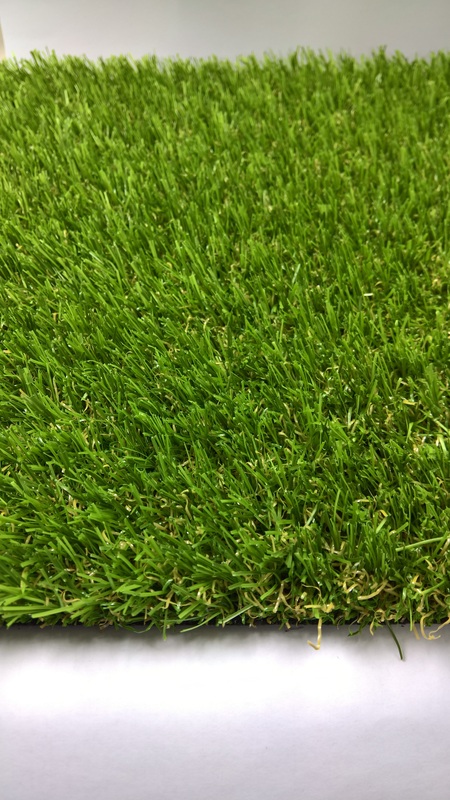 The grass uses a combination of two different colour tones mixed together in order to ensure the finished result is a lifelike, realistic artificial turf. Available in a choice of either 2m or 4m widths, the Landscape Lawn is the perfect blend of attractiveness and practicality. We’re so confident in the quality and durability of our artificial grass that each and every one of our products comes with an eight-year guarantee. In addition, if you receive your artificial grass and find a fault, we will gladly replace the faulty product or issue you with a full refund - just make sure that you get in touch with us the moment you notice an issue.